MELISMATIC: COUNTRY CROONIN': Carrie's a "Good Girl"/Civil Wars break with "Barton Hollow"
COUNTRY CROONIN': Carrie's a "Good Girl"/Civil Wars break with "Barton Hollow"
Carrie Underwood's got a new single, and -- shock and awe -- it's about how a fella is no damn good (no good for you). Did you feel that? Was it an earthquake? I know it seems unbelievable that Carrie would come out full guns blazing with a catchy, sing-along pop meets country jam putting the male species down for being a triflin' hounddog. (Can you sense my sarcasm?) "Good Girl" is good fun, but it's also essentially Part Two to her last uptempo pop radio single, "Cowboy Casanova", (which I also fell shamelessly for). Let's face it -- Carrie's got a killer voice, a great look, and is the ideal country-popstar. She's strong, she's relatable, and she ain't afraid of telling you off. ("Before He Cheats", anyone?) She realizes she's got a winning formula with this. 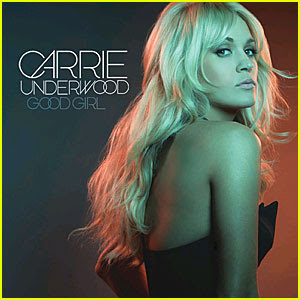 I don't blame her for following the phrase 'If it ain't broke....' "Good Girl" is the lead single from Carrie's upcoming fourth album, Blown Away, which is slated to explore darker themes -- so perhaps girlfriend is gunning for more "he's no good" gems? PS - I want every single outfit she wears in this video. Seriously. Every single one. I've got to say, I'm really liking this shift to more folk country breaking through into the mainstream! First with The Band Perry, and now with John Paul White & Joy Williams, the duo behind The Civil Wars, a Nashville-based outfit that broke through to the big time with their debut full-length LP Barton Hollow, released in early 2011. The album earned them a couple Grammys. The visibility led to a collab session with pop's resident country darling Taylor Swift on the Hot 100 charter "Safe & Sound", a soundtrack cut from the upcoming blockbuster film "The Hunger Games". 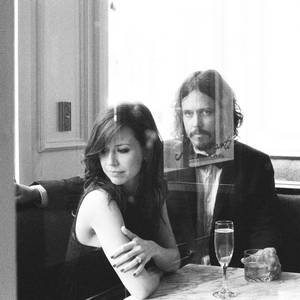 The Civil Wars also have another song on the soundtrack (out today) called "Kingdom Come." "Barton Hollow" is gorgeous for its simplicity, a perfect mixture of harmony guitars and White & Williams voices. It's not too country for the country-phobic, but it's hardly a pop record either. It's somewhere in between, opening with an ominous acapella harmony, seguing into heavy guitar strumming. The dark, Wild West-esque feel of the duo's harmony line is the most fascinating bit of the whole record. It walks the line between comfortable and spine-tinglingly uncomfortable, grabbing all of your attention.